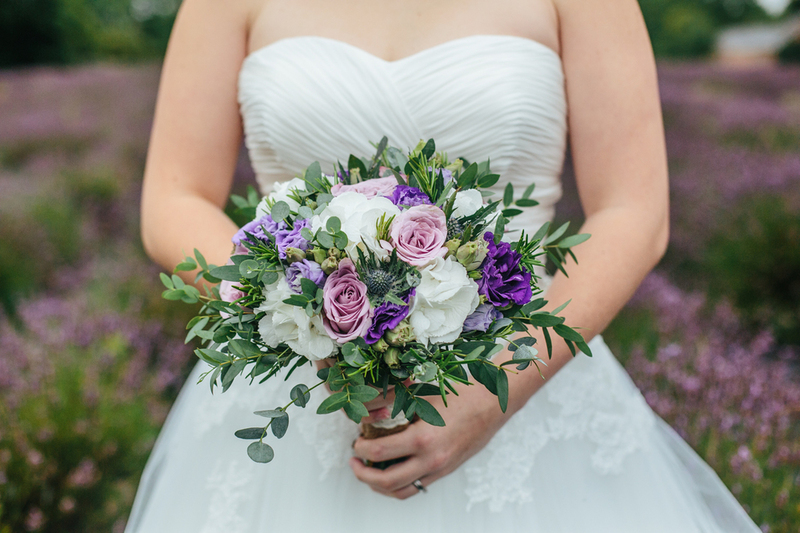 If there's one thing I love, it has to be bride and groom shots in fields of colour! I love colour in photographs, not only just colour, but having the ability to manipulate it to accentuate a composition. I've been fortunate for such occasions with weddings looking out over fields of blues and yellows in the mid-summer. But one 'crop' which had eluded me was the lavender plant - flowering only for 2-3 weeks a year, having a wedding taking place at or next to a flowering lavender crop in the North West of England... well the odds are slim to say the least. 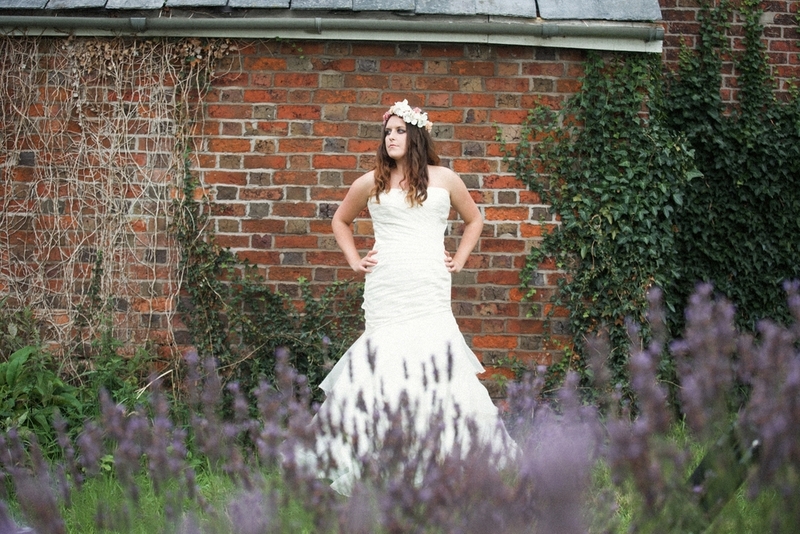 We got in touch with Swettenham Arms, a pub wedding venue whose grounds consist of a lavender field, perfect for some wedding photography in cheshire ! I told Becca at Edith & Winston all about my plans, Emma was on board with make up artistry (Emma Culbert MUA) and our brilliant hairstylist friend Shoni at Boutique Hair in Cheadle Hulme for the hair styling. We had two models: Kat, who we were going to go bridal 'Bo-Ho/bohemian' with locks and twists in her hair; and Danielle, who we were going to go with a more classical bridal look. The shoot itself was fine art photography with a classical feel to the compositions. We had a very moody day (overcast and constantly threatening to rain!) and so I'd develop photos with mood, style and a clash between a colour floor bed and grey moody skies. 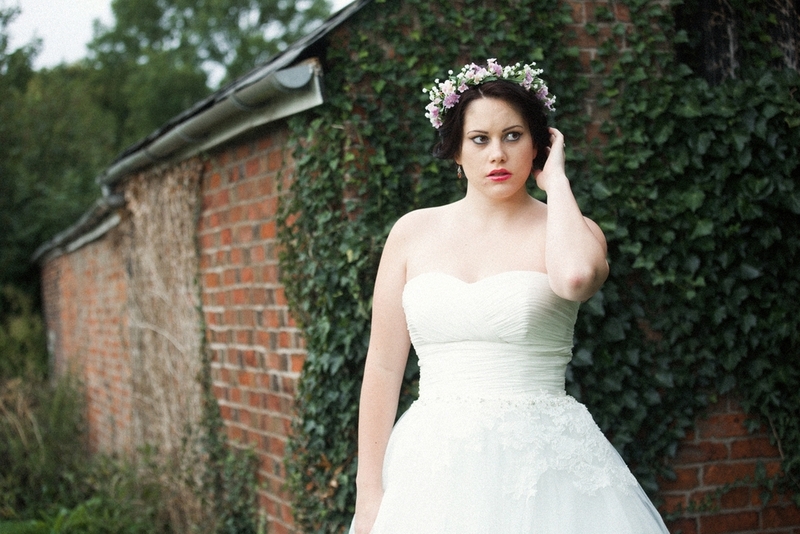 Maybe next time I'm here will be for wedding photography on a nice warm summer's day - quite different to this shoot!